The heated rental market of the past few years is definitely over. 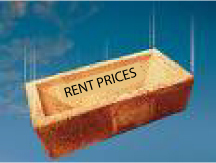 Rent increases followed housing price increases to unsustainable levels. Reports from around the country show that rents continue to fall. In New York City, the biggest drop, 8% over last year, was in the category of studio apartments in doorman buildings. In a city like New York, where rents are excessively high when compared to the rest of the country, that’s significant. Renters in NYC are used to numbers like $3,395 for one-bedroom apartments with a doorman (but you can lose the doorman and pay only $2,632). It’s a tough, competitive market—but people are finding more rental deals than ever right now. Renters who signed leases at the height of the bubble are more interested in investigating their alternatives—including moving—than before. Most folks are not willing to pay more, but they are looking for—and finding—similar properties for less money. Other renters are downgrading to cheaper properties just to save money. With job security at a new low for many working people, the opportunity to save several hundred dollars a month only makes sense. Thrift is in, and the ability to sock away money in savings appeals to people who never considered it before. What could this mean to landlords and property managers? Expect to work a little harder to secure and keep good tenants. 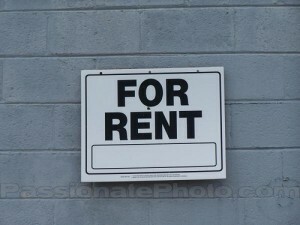 It’s a renter’s market, but there are still good, solid tenants looking for rental properties. Make sure your property is in top condition and advertise it well. In this market, current tenants might ask for rent reductions at lease renewal time. To avoid reducing the rent, think creatively of other ways to keep them. Perhaps you can pay for certain utilities, or upgrade the cable package. If you have a vacancy elsewhere, upgrade a good tenant to a nicer property. A fresh coat of paint or new carpet could be perks a tenant would stay for. Some landlords, desperate to keep properties filled, are accepting tenants with bad credit. This “I’ll take anyone” approach is a mistake. Tenants with bad credit could cost you much more money over time than you’ll lose by waiting for a solid tenant. And in this economy, a low credit score is likely to get worse, not better. There is no better time to thoroughly check your prospective tenants’ backgrounds and credit histories. The rental market will swing back up again. Rents are often tied to jobs, and when job numbers increase again, look for signs that rents are on the increase. Until then, be patient, don’t panic, and plan carefully. Consider new ways to keep your properties leased; be open minded to new ideas and to all requests from your tenants. But remember, you are under no obligation to let tenants out of a binding lease, just because they can rent somewhere else for less. Fake IDs: Don’t Fall For Them! An Attempt at a Two-For-One ID? Not Smart! 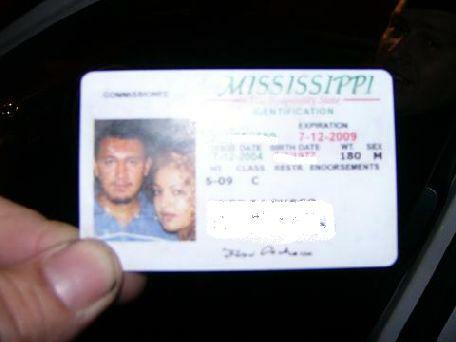 Fake IDs are not just used by underage drinkers anymore. Smart landlords require prospective tenants to provide identification and make photocopies for the tenant’s file. But taking these important steps won’t tell you if the driver’s license or other ID card presented is real. What if the new tenant who just signed your lease is not who they claim to be? Who would falsify their identification? For starters, anyone with a criminal history, bankruptcy, or prior evictions to hide. Then there are those with bad credit or problem rental histories, plus underage kids who can’t legally sign your lease. And finally, there are the thousands of people in your community without legal residential or work status. Any of these folks would have reason to falsify their identification. The list of potential tenants who don’t want you to know their true identity is as long as process to evict them will be. False identification is a big business. Both large-scale groups working internationally and individuals in your neighborhood keep this multi-billion dollar business booming. High-tech graphics software can easily pump out official-looking state IDs, driver’s licenses, Social Security cards, and even Department of Homeland Security Permanent Resident Alien cards. Why not avoid the problems that come with fake IDs up front? Ensuring that the person you’re renting to is actually who they claim to be is easy with tenant screening. This service will not only screen out criminals and problem tenants, it will also ensure you that the identification presented is legitimate. Make your life a little easier by using qualified tenant prescreening services! If you’ve decided that property management is not for you, you’re not alone. There are thousands of successful property management companies because there is a real demand for their services. They have the expertise and experience to manage your property, plus they’re knowledgeable about all the laws affecting rental housing. They’ll handle all the bookkeeping, rent collection, and emergency issues, while dealing with tenants fairly and objectively. There are certain disadvantages to using a professional service. First—they’re not free. If your margin between income and expenses is slim, it might not be cost-effective for you to hire a management company. Also, they might not care for your property as well as you, or be as aggressive in filling your vacancies as you would be. • How will you prepare the rental unit for leasing? • How will you advertise and show the unit? • Do you prescreen tenants for credit and criminal records? • What is the rent collection procedure? What about delinquent rent? • What do you charge? Are there additional charges? • Will I receive monthly reports? What do they include? • How do you handle maintenance? What about emergencies? • Do you mark up materials and supplies? • How do you handle tenant complaints? • How firmly will you enforce my rules and procedures? • Can you give me an example of your attention to detail? Always ask for references and follow through with talking to them. A complete client list is even better; specifically check with owners of properties in your size category. Visit the property management company’s office and meet the staff. Don’t sign the contract until you are sure the company has a sound track record. Know that some management companies charge lower fees and make up the difference in repairs, by marking up supplies and labor, or by performing unnecessary repairs. Finally, make sure the company has adequate insurance. They should also be bonded to protect you, since they will be handling and collecting your money. Finding the right property manager will make a big difference in your cash flow because they take care of all the issues that affect it. They fill the vacancies, find good, solid tenants, and perform all maintenance and accounting. 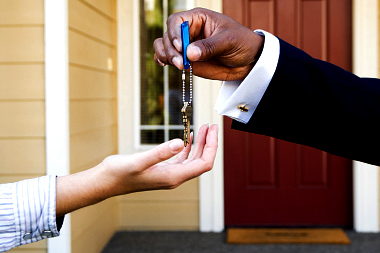 Make sure you choose a property management company that is squarely on your side. The law protects tenants from evictions, rent increases, and other penalties a landlord might impose out of retaliation. Most often, this occurs after a tenant files a complaint or other action against the landlord. If you decide to evict a tenant, raise the rent, or terminate a lease, you must be prepared to prove it is not in retaliation for the tenant’s actions. What is considered retaliatory action? If your tenant files a complaint through proper channels about your lack of maintenance or a code violation, you may not raise their rent, break their lease, or evict them. You may not threaten eviction or reduce services, either. If you do decide to evict a tenant for legitimate reasons, such as severe property damage, non-payment or continual late payment of rent, or illegal activity, you must prove that your reason is legal. 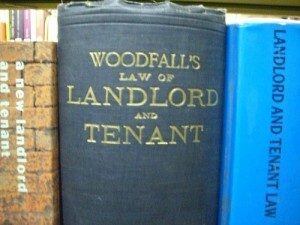 The law assumes a tenant who has filed a complaint and subsequently is evicted is being treated illegally. You cannot punish a tenant for exercising their rights under the law. The reality is that once a tenant files a legal complaint, it becomes more difficult to later evict them, even with just cause. The best practice is to prevent such complaints with regular inspection schedules, proper maintenance, and good communication. In addition, prescreening tenants and checking references will be good clues as to their rental habits and history—before you enter a legal agreement to lease your property. Stessed Out Over Problem Tenants? Every landlord defines “problem tenants” differently, but all can agree they are just not easy to deal with. You might be considered lucky if your problem tenant is just late with the rent or is loud and disruptive at 3 a.m. While some bend the rules, others break your property, causing costly damages. And in extreme cases, tenants threaten harm to others or engage in illegal activity. Problem tenants cause much more than headaches for their landlords. What are your options in dealing with them? Laws vary by state and even locality, so be sure to check with legal resources before proceeding to any action. Tenants have rights, too. 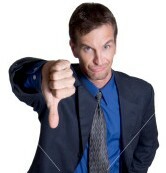 You do not want to be sued for taking illegal action against a problem tenant. If you intend to end the tenancy for a rules violation, you must give the tenant written notice, with time for them to correct the problem. If a tenant is late on rent, you send a notice giving them a number of days to pay or they must vacate the premises. For recurring problems such as late payment, or major damages, you would send an unconditional notice to move, with no time to correct the issue. When you have exhausted other options, there is often no choice other than to evict. Consistent late rent, severe property damage, illegal activity or non-payment of rent are good reasons to proceed to eviction. It’s a good practice to communicate regularly with tenants, and to carefully document all communication. If you are claiming damages or lease violations, you must have proof if you end up in court, so make notes, send correspondence by certified mail when necessary, and take photos of all damages. The best defense against problem tenantsis to prevent them from moving into your property in the first place. Prescreening tenants with reference, background and credit checks is not 100% foolproof, but it’s a good practice to establish. While there are no guarantees, and even the most cautious landlords have their share of bad tenants, prescreening will definitely help you avoid them. Finding great tenants is a big job. So when you have them, you want them to stick around. If you’re renewing leases, it’s good sign that both parties are satisfied. Avoiding tenant turnover can yield significant cost savings—no major repairs or painting, cleanup, or advertising for new tenants. So, if you have a good track record with a current tenant, and you’re both happy, do what you can to renew the lease, and save yourself time, money, and trouble. There is no standard lease renewal process. Most leases are for a specified period of time; if there is no language regarding renewal, the lease expires on the date indicated, and your tenant is free to move out. In this situation, you’ll want to approach your tenant at least two months ahead to inquire about his or her plans. If you want your tenant to stay, make sure they know it! Of course, you have no obligation to renew a lease. Even better: why not cover yourself and spell everything out in writing? Then, everyone knows what to expect. Your rental agreement or lease could include a “renew by” date, usually 30-60 days prior to expiration, by which your tenant must inform you if they are NOT renewing the lease. If they do not, it is assumed the lease will be extended. You can specify in the lease whether the renewal is for the same time period and under the same terms, or if it is month-to-month or some other length of time. It doesn’t hurt to check in on your property regularly—and to check in with tenants when the lease is coming to its end. There may be a repair job needed, or a small upgrade you can provide to entice your tenants to stay. If you care about your tenants, make sure they know it! It’s a good idea to recheck a tenant’s credit when renewing the lease. Be sure you are in compliance with the Fair Credit Reporting Act if you do.